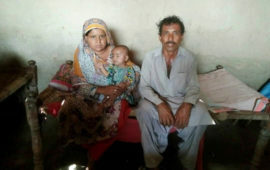 Nearly one year ago, a case of ceftriazone-resistant typhoid was reported at Aga Khan University Hospital in Hyderabad, Pakistan. Within the week, there were two more cases reported from the same hospital. While news of any outbreak of typhoid is troubling, the details of Pakistan’s outbreak, presented by Dr. Farah Qamar during a session at the American Society for Tropical Medicine & Hygiene’s 66th Annual Meeting on growing threats of drug-resistant typhoid, is particularly alarming because it is the first-ever reported outbreak of ceftriazone-resistant typhoid. Ceftriazone is an intravenous antibiotic commonly used in many parts of the world as a standard treatment of typhoid. While we have seen increasing resistance to many other types of antibiotics, cases resistant to ceftriazone are rare. Only six cases were identified in Pakistan between 2009 and 2014. Throughout the ongoing outbreak over the past year, there have been over 400 culture-confirmed cases and 1 death. More than half of the cases have occurred in children 5 years of age and younger. There are currently no guidelines for the treatment of ceftriazone-resistant typhoid. 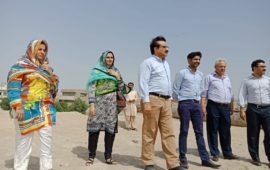 Surveillance efforts by Dr. Qamar and her team found that cases were geographically clustered around sewer lines in two areas of Hyderabad. When they visited these areas, they found conditions perfect for typhoid to spread—water and sewer pipes running right next to each other with breaks in each system, allowing waste to seep into the water supply. Typhoid causes illness through ingestion of the bacteria Salmonella Typhi, typically from contaminated food or water. 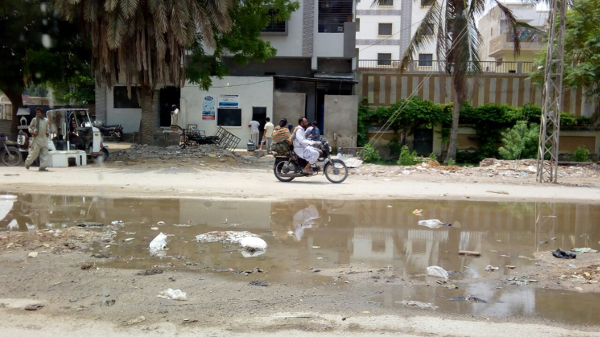 The multidrug-resistant typhoid outbreak in Pakistan presents a bleak picture of what could become the future of typhoid without swift action. And it is a timely reminder of the urgency to deploy existing, proven interventions—vaccines and improvements in water, sanitation and hygiene—to prevent infections. I am encouraged by the progress that the global health community has made this year toward accelerating the availability of a new type of vaccine, called typhoid conjugate vaccines (TCVs), to those who need them most. TCVs have the potential to be a game-changer in typhoid prevention, providing longer lasting protection than currently available vaccines and being suitable for use in children under two years of age. The World Health Organization’s Strategic Advisory Group of Experts (SAGE) on Immunization recently recommended the introduction of TCVs for infants and children over six months of age in endemic countries, especially in those with the highest burden of disease or high rates of drug resistance. SAGE also recommended catch-up vaccination wherever feasible, prioritizing children up to 15 years of age. This recommendation is a key step forward in the goal to have TCVs accessible and available in low-income countries where the burden of typhoid is greatest. 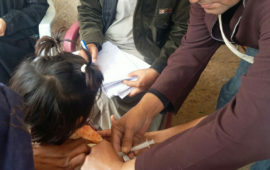 Additionally, Gavi, the Vaccine Alliance, an organization that provides funding support for the introduction of vaccines in low- and middle-income countries, will discuss formally including TCVs as part of their commitment to typhoid vaccines during their board meeting at the end of this month. A decision to include TCVs could pave the way for the most at-risk countries to gain another tool in their toolbox to prevent typhoid. Pakistan’s outbreak reflects a deeply troubling trend, but it is not insurmountable. 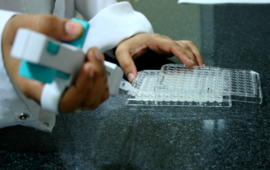 We can prevent further development of drug- and multidrug-resistant typhoid strains by preventing typhoid infections and, consequently, the need for treatment with antibiotics. TCVs represent a significant opportunity to do just that. Kathleen Neuzil is the Project Director of the Typhoid Vaccine Acceleration Consortium (TyVAC) and the Director of the Center for Vaccine Development at the University of Maryland School of Medicine.